How can I sign in to AmazingHiring with google? Sign in to your AmazingHiring account with gmail by choosing one of the email addresses. If you choose your AmazingHiring registration address, you will sign in to the system. If you choose the address which was not used for AmazingHiring account registration, you will be offered to link your gmail address to the existing account. To do it, enter your AmazingHiring registration email address and password in the next step. 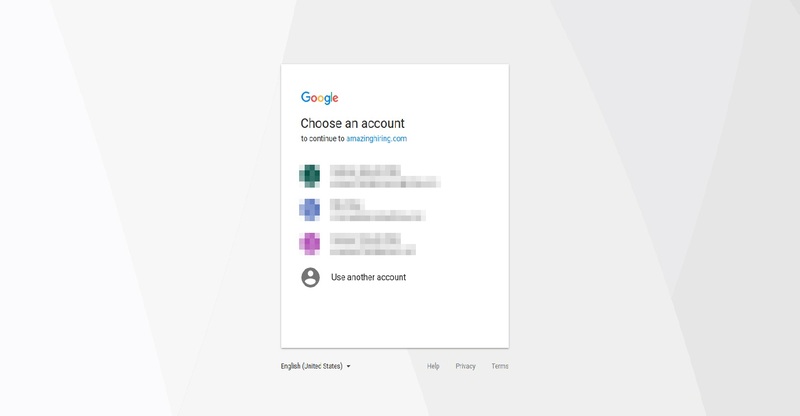 Now your gmail address is linked to the AmazingHiring account and you can sign in with google. If you want to create new AmazingHiring account, press the “continue” button and confirm it. Please, notice, that with this new account you can work only with AmazingHiring extension. If you want to create AmazingHiring search engine account, request demo here.